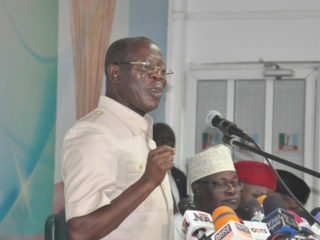 The scheduled state congress of the All Progressives Congress (APC) in Enugu state yesterday ended in fiasco as suspected armed thugs chased away committee members and hundreds of party faithful, who gathered at the Nnamdi Azikiwe stadium venue for the exercise. 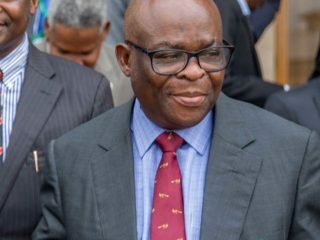 Prior to the melee, proceedings went on smoothly until about 2.00pm when the Minister of Foreign Affairs, Geoffrey Onyeama and Presidential Assistant on Judiciary Reforms, Juliet Ibekaku, arrived the venue. No sooner had they arrived than the armed thugs started shooting sporadically into the air, thereby disrupting the accreditation of delegates that was already underway. Canopies, chairs and tables put together for the exercise were kicked and turned upside down, even as hundreds of party faithful already seated, including former President of Senate, Ken Nnamani, former governor Sullivan Chime, National Chairman of the party in the southeast, Emma Eneukwu, Director General of Voice of Nigeria (VON), Osita Okechukwu, state chairman of the party, Ben Nwoye, Business mogul Baywood Ibeh among others had scampered to safety as the armed thugs pounced on the congress committee members. 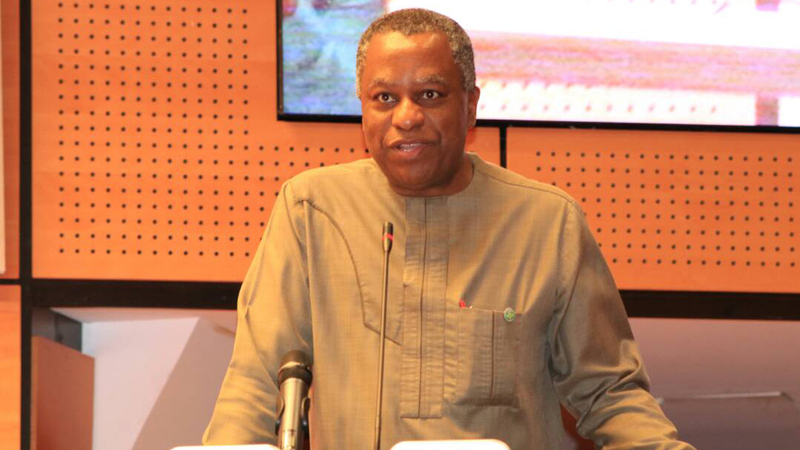 Only the prompt intervention of the police saved the members from harm as they were whisked away through the back door to an unknown venue.When the members deserted, the Onyeama faction of the party took over the venue to conduct affairs without the congress committee members, materials and INEC officials, after which Okey Ogbodo was returned as chairman. 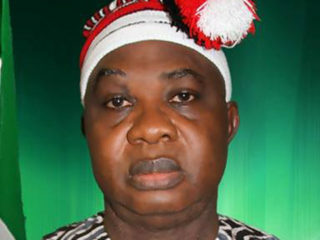 On her part, Ibekaku vowed that there would not be any congress in the state until election materials were provided. “We want free and fair election. No congress is holding in Enugu State today because the state chairman and the Zonal National Vice Chairman, Emma Eneukwu doesn’t want any election to hold today in Enugu. So there is no congress holding in Enugu today”, she said.